The 26-year old Offaly man has a home overlooking the Montgomerie’s sister course and firmly believes it would be “something special” as a venue if the European Tour, Carton House and sponsors Fáilte Ireland decide to return to the Maynooth venue for a fourth time next year. While the Montgomerie Course is considered the more difficult of the two, the O’Meara has been given some new teeth this year with a new first and 18th holes allowing rounds to start and finish nearer the great house. The Mallaghans wanted to take the tournament there this year but the poor spring weather did not allow the new holes enough time to mature and the European Tour advised them that it would be madness to take a chance with the Montgomerie Course ready and waiting. That said, the O’Meara is a more intimate setting compared to the wide open spaces of the Montgomerie Course which tends swallows crowds in its vast expanses, taking away from the atmosphere. Pointing to the spectacular run of holes that criss-cross the River Rye - the par-three 14th, par-five 15th and par-three 16th, Lowry believes the Irish Open could create an atmosphere to rival the tour’s flagship BMW PGA Championship on the West Course at Wentworth. The Mallaghan family, proprietors of Carton House, were certainly thrilled by this year’s Irish Open, despite the fact that major winners Rory McIlroy, Darren Clarke, Pádraig Harrington and Graeme McDowell all missed the cut. “It’s been a really good week,” said Conor Mallaghan, Owner and Managing Partner of Carton House. “The course was set up as good as could be from a conditioning point of view and we have had a lot of great feedback from the players and the tour. Everyone associated with it believes it was first class. “In terms of anything that we have control over, it was perfect. If you want to be a perfectionist about it, the weather could have been a little bit better. A few of our Irish major winners could have done something on the leaderboard and that would have been the icing on the cake. “But in terms of how the event went, it has been almost flawless. The scores were just about where we would have wanted them and in terms of atmosphere, you only had to hear Pablo Larrazábal say on Saturday that the reception he got on 17 was the best he has ever experienced on a golf course. That means a lot. “The European Tour put a great investment in that (€50,000) and it has borne fruit and the three towns initiative with Maynooth, Celbridge and Leixlip worked extremely well and the people from those towns really got involved in the spirit of the event. “We are delighted and I do believe that if we had decent weather and a good Irish leaderboard, we could have broken attendance records here. “Portrush was capped at 25,000 but we are not capped. We could have had 30,000 plus in here with all things being equal. As his father Lee Mallaghan, President and owner, pointed out: “Carton House has become a great sporting venue with rugby, GAA and golf a major part of what we do here. When you’ve had Cristiano Ronaldo, Lionel Messi and Rory McIlroy stay under the same roof, there’s no doubt that Carton House is a world class venue worthy of Ireland’s biggest tournament. 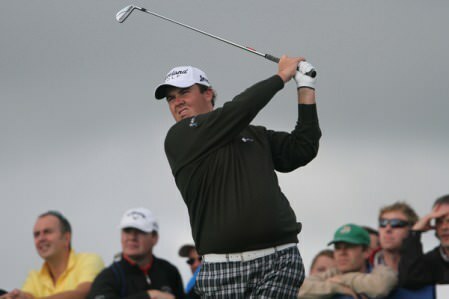 Shane Lowry in action at Royal Portrush last year. He’d like to see an wqually massive crowd at Carton House. 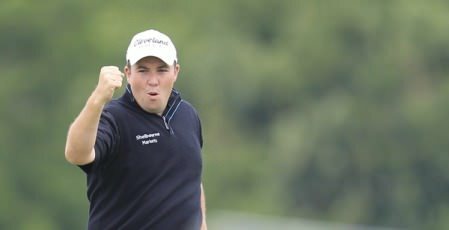 Photo © Jenny Matthews/www.golffile.ieShane Lowry believes it’s crucial that an Irishman contends for Irish Open glory at Carton House this weekend and helps create the festival atmosphere that will help guarantee the tournament’s tenuous future.